All of our commercial stair lifts are powerful, reliable, and durable enough to meet the demands of any work environment. 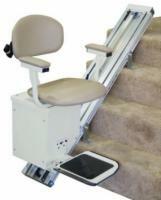 In just a matter of hours, you can have your commercial stair lift installed and ready to use. 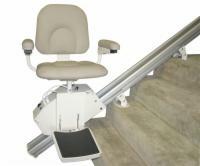 All it takes is a few common household tools to attach the railing to the stairs and setup the compact and comfortable seat. To operate, simply use the toggle switch, which is conveniently located in the armrest. You can provide limitless accessibility for employees, customers, and visitors for an incredibly low price. 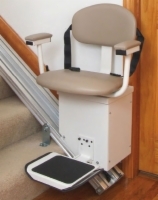 Call to speak with a stair lift expert, or better yet, visit one in person and see our products in action when you visit AmeriGlide of Southport, North Carolina!